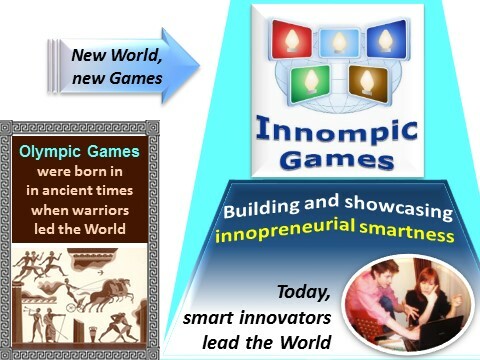 Being a civilizational breakthrough, Innompic Games are also THE SOLUTION to several global problems and the Global #1 in a number of key areas. All-inclusive Creation Show ‒ the most useful show that helps all people around the world become Loving Creators. People can watch smart innovators creating amazing solutions from idea through entrepreneurial implementation strategies and innovative business models. Show teams create insightful associations. 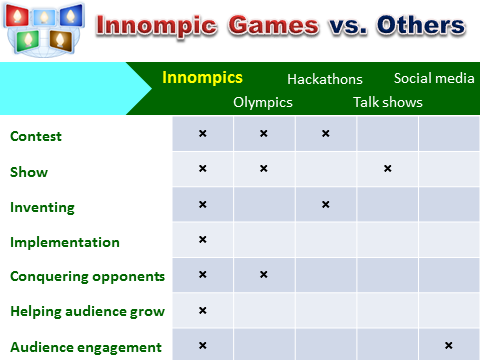 Active spectators can also participate and contribute their creative solutions. 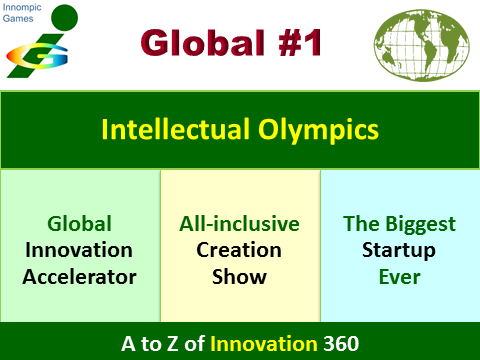 Global Innovation Accelerator ‒ helps people globally grow as innovators and create successful breakthrough ventures. Global Culture of Innovation ‒ helps innovation thrive globally; stimulates people to see the world in new ways, encourages creative thinking, facilitates collaboration, and makes innovation the norm.